Supply, installation and servicing of quality Garage Equipment. Codi International supply, install and service quality Garage Equipment. Equipment to service anything from Motorcycles to the Largest Trucks. 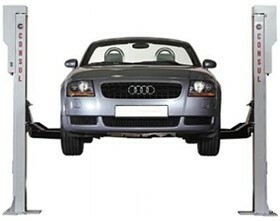 We supply a range of European-made Vehicle Lifts, MoT Equipment, and Commercial Vehicle Service Equipment. We also stock a wide range of spare parts and have our own team of service engineers. For further information please visit our website www.codi-international.com or call in to see us at our offices here in Tintern. Codi International Ltd, Abbey Lodge, Tintern, Monmouthshire, NP16 6SF.